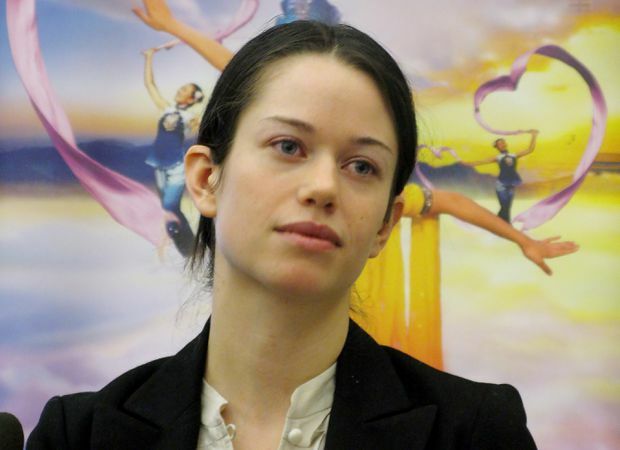 Caylan Ford speaks to reporters in Calgary on April 24, 2008. But a New Democrat member of the legislature said voters need to know who they’re voting for. “You just don’t have the same attempts to separate the violent terrorists from the wider community of belief,” the website quoted Ford as saying. She said she resigned because she didn’t want the report to be a distraction during the campaign. Ganley said she doesn’t see how Ford could. “I can’t imagine the context in which those remarks would be appropriate. I don’t think there is such a context,” Ganley said. “Let me be clear: I condemn the remarks included in the texts that she had sent and so we will be appointing a new candidate in the Calgary Mountain View constituency,” Kenney told reporters. Ford described PressProgress as “the media arm” of the New Democrats and suggested her treatment was typical of how the governing party conducts itself – charges at which Ganley scoffed. Ganley pointed out Ford isn’t the first UCP member to be criticized. She acknowledged both the left and right bear some blame for the current negative tone of Alberta’s political debate, which has seen New Democrat cabinet ministers threatened with violence.